Tuesday thru Saturday, Noon to 3 PM. Fri - Sat nights for ghost tours. 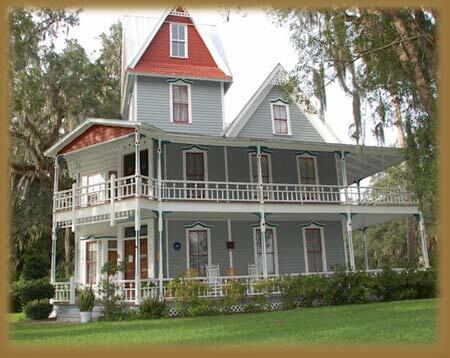 The May-Stringer Heritage Museum is a 3-story, 14 room Victorian home built circa 1860. It is located in downtown Brooksville just off the intersection of US Hwy 41 and Alternate SR 50 at the top of the hill. The museum is open for tours Tuesday - Saturday noon to 3 PM. A donation of $5.00 per person is requested. The museum also hosts ghost tours on Friday and Saturday nights. Reservations are required for the ghost tours by calling 352-556-9571. Each of the rooms within the museum house artifacts from each of the families that occupied the home over the years as well as many items donated which represent life over the past 150 years. Knowledgeable docents will lead you on an informative tour of the house and relay bits of history and legends surrounding the house. US Hwy 41 north of downtown Brooksville to Alternate Hwy 50. Turn west on Alt 50 one block, right on Museum Court.